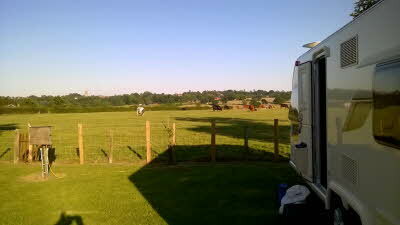 Hole Farm Caravan Site has very easy access, with spacious pitches on a 'just off level' site. There are no extra charges for anything! All electirc 'hook ups' are 16 amp. Our site is a 20 minute walk from the beautiful village of Appledore, where you can find a friendly pub, a well stocked shop, hairdressers and antique shop. A 5 minute drive to the train station where there is free parking, running an hourly service to Ashford, Rye and Hastings. There are lovely dog walks in the nearby woods or along the Royal Military Canal. 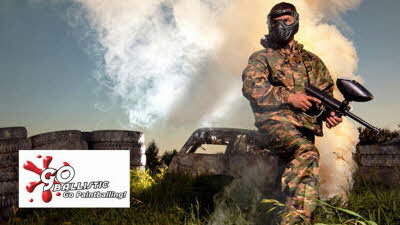 Ther sunsets from the site (as you can see from the picture) are out of this world. Buzzards and barn owls are often seen on this working farm. Cuckoos are always heard in the spring and sometimes even a nightingale! Rye Harbour Nature Reserve - a 20 minute drive away, offers further bird watching and dog walks. The historic market towns of Rye & Tenterden are closeby (approximately 6 miles), both having independent shops on the high street and with markets on Thursdays and Fridays. Rye has its own independent cinema, KINO and Tenterden boasts a fully working steam railway. National Trust properties nearby include Smallhythe Place, Bodiam and Sissinghurst Castles. Easy cycling is available on the flat lands of Romney Marsh or more challenging towards Tenterden and the Weald of Kent. 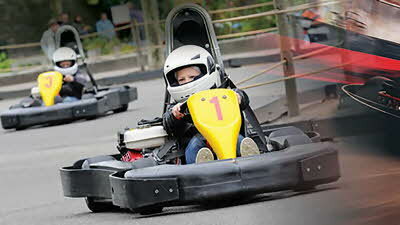 For excursions further afield Ashford has Eurostar and Ever the ferry for a day trip to France. Local fresh fish, Rye, Hastings, Camber Sands, Canterbury Cathedral, Rye Jazz Festival, Appledore Flower Festival (August bank holiday weekend), Gusbourne vineyard tours. 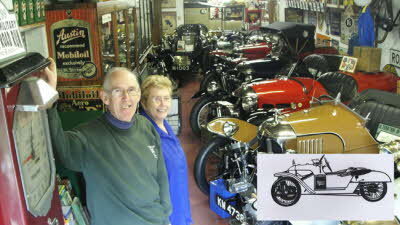 Private collection specialising in Morgan 3 wheel cars, ranging from 1909 to 1936. Other items include a 1936 Brampton expanding caravan, 1904 Humber tri-car, 1929 Morris van and a 1929 Ford Model A. Early motorcycles and cycles surrounded by a great display of automobilia. We have stayed here a few times now. 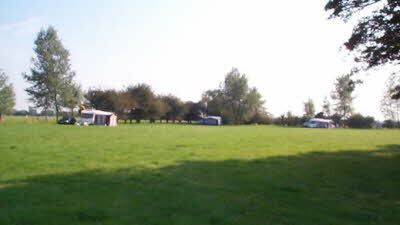 The site has plenty of room for five outfits, including two all-weather pitches and is situated a few hundred yards from the farmhouse. A slight slope up from front to back, but levelling blocks are not always necessary. The main aspect is to the west, with delightful sunsets and the east boundary is mature trees. Good water pressure, plus cesspool disposal with a separate hose for washing down. Rubbish bins are in the small building at the site entrance. The location is prime for Romney Marsh and the higher levels overlooking it and the quiet spots of the Royal Military Canal are but a short drive away. The owners are working farmers and are invariably busy. The farmhouse is the bungalow down Moor Lane. I have to say that as a CL Hole Farm has everything that a caravan owner might expect in terms of facilities and freedom from military rules. The fact that some members have to have special facilities for their units is perhaps best catered for on a Club site, rather than a typical CL, although I have seen others who get round their on-board problems by other means - or carry a hosereel with them. The local shop is about 20 minutes' walk away towards Appledore. First visit to Hole Farm we had a wonderful stay.Peaceful site, glorious views and pleasantly woken to sheep chorus..rather then dawn chorus. 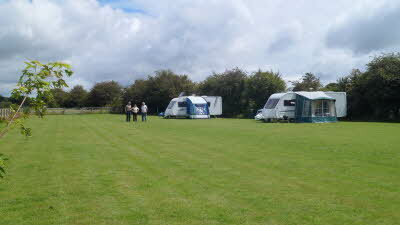 Very easy to enter site and set up with spacious pitch.Owner friendly and relaxed. will defiantly return. We've been coming here for years and it's a lovely, quiet site. There are 2 good hardstanding pitches at one end and the rest on grass. The site is basically a narrow fenced off section of a much larger field (which usually has sheep in it). The pitches slope slightly and have nice views over fields with good sunsets. The village of Appledore with a shop, pub and a tearoom is only about a mile away. The area is excellent for cycling with nice quiet lanes - some gentle hills to the north or the really flat of Romney Marsh to the south. Pre-booked the pitch on a previous visit to the area. On arrival our pitch location was displayed on a chalk board next to the gate. Pitches were mainly level and just required a couple of packing pieces to level the rig. The site was well cared for with decent views across the farmland. Appledore was only about 1 mile or so from the site and had most of the required amenities. A good site which we intend to visit again as family live within a couple of miles!